Collin SP, Yopak K and Kempster RM (2015) Sensing the environment. In Physiology of elasmobranch fishes Volume 34. (Eds. Shadwick RE, Farrell AP and Brauner CJ). Elsevier, Inc.
Kempster RM and Collin SP (2014) Iconic Species: Great White Sharks, Basking Sharks and Whale Sharks. In Sharks: Conservation, Governance and Management. (Eds. N Klein and E Techera). Earthscan (Routledge, Taylor & Francis). Kempster RM, Egeberg CA, Hart NS, Ryan L, Chapuis L, Kerr CC, Schmidt C, Huveneers C, Gennari E, Yopak KE and Collin SP (2016) How close is too close? The effect of a non-lethal electric shark deterrent on white shark behaviour. PLoS One. Garza-Gisholt E, Kempster RM, Hart NS and Collin SP (2015) Visual specializations in five sympatric species of stingrays from the family Dasyatidae. Brain, Behavior and Evolution 85 (4): 217-232. 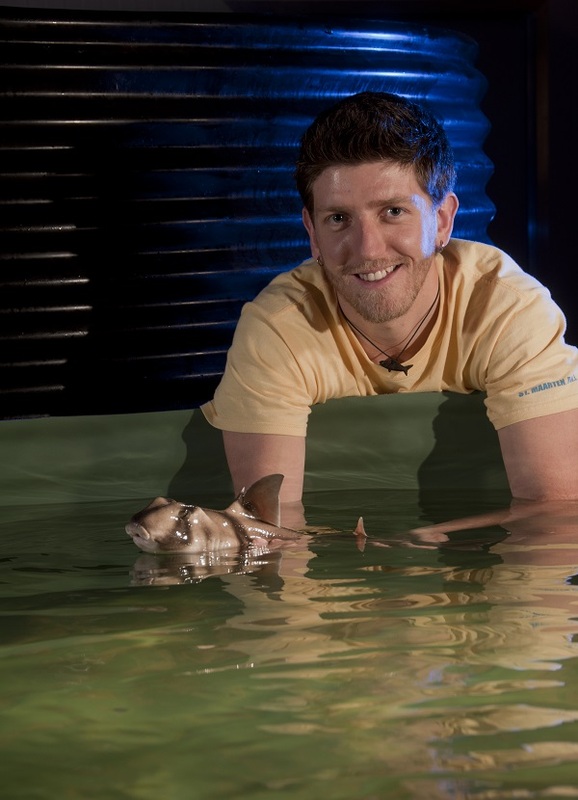 Kempster RM, Egeberg CA, Hart NS, and Collin SP (2015) Electrosensory-driven feeding behaviour of the Port Jackson shark (Heterodontus portusjacksoni) and Western shovelnose ray (Aptychotrema vincentiana). Marine and Freshwater Research 67(2): 187-194. Egeberg CA, Kempster RM, Theiss SM, Hart NS and Collin SP (2014) The distribution and abundance of electrosensory pores in benthic sharks: a comparison of wobbegong (Orectolobus maculatus) and angel (Squatina australis) sharks. Marine and Freshwater Research 65 (11): 1003-1008. Camilieri-Asch V, Kempster RM, Collin SP, Johnstone R, Theiss SM (2013) A comparison of the electrosensory morphology of a euryhaline and a marine stingray. Zoology 116 (5): 270-276. Kempster RM, Garza-Gisholt E, Egeberg CA, Hart NS, O’Shea OR, Collin SP (2013) Sexual dimorphism of the electrosensory system: a quantitative analysis of nerve axons in the dorsal anterior lateral line nerve of the blue spotted fantail stingray (Taeniura lymma). Brain, Behavior and Evolution 81 (4): 226-235. O'Shea OR, Thums M, van Keulen M, Kempster RM, Meekan MG (2013) Dietary partitioning by five sympatric species of stingray (Dasyatidae) on coral reefs. Journal of Fish Biology 82 (6): 1805-1820. Kempster RM, Hart NS, Collin SP (2013) Survival of the Stillest: Predator Avoidance in Shark Embryos. PLoS ONE 8: e52551. Kempster RM, Hunt DM, Human BA, Egeberg CA, Collin SP (2013) First record of the mandarin dogfish Cirrhigaleus barbifer (Chondrichthyes: Squalidae) from Western Australia. Marine Biodiversity Records 6: e25. Kempster RM, McCarthy ID, Collin SP (2012) Phylogenetic and ecological factors influencing the number and distribution of electroreceptors in elasmobranchs. Journal of Fish Biology Special Issue: The Current Status of Elasmobranchs: Biology, Fisheries and Conservation 80: 2055-2088. Fitzpatrick JL, Kempster RM, Daly-Engel TS, Collin SP, Evans JP (2012) Assessing the potential for post-copulatory sexual selection in elasmobranchs. Journal of Fish Biology Special Issue: The Current Status of Elasmobranchs: Biology, Fisheries and Conservation 80 (5): 1141-1158. Kempster RM, Collin SP (2011) Electrosensory pore distribution and feeding in the basking shark Cetorhinus maximus (Lamniformes: Cetorhinidae). Aquatic Biology 12: 33-36. Kempster RM, Collin SP (2011) Electrosensory pore distribution and feeding in the megamouth shark Megachasma pelagios (Lamniformes: Megachasmidae). Aquatic Biology 11: 225-228.